At the Hampton Inn - Suites Mission hotel you will find what every business or leisure traveler is looking for clean rooms complimentary hot breakfast exercise facilities large pool complimentary high-speed Internet access throughout the hotel and Hilton HHonors Points - Miles backed by our 100 Hampton Guarantee. Start your day with a complimentary cup of coffee or tea offered 24 hours a day. Mission Texas is the headquarters for the World Birding Center which has nine designated sites that protect wildlife habitats. 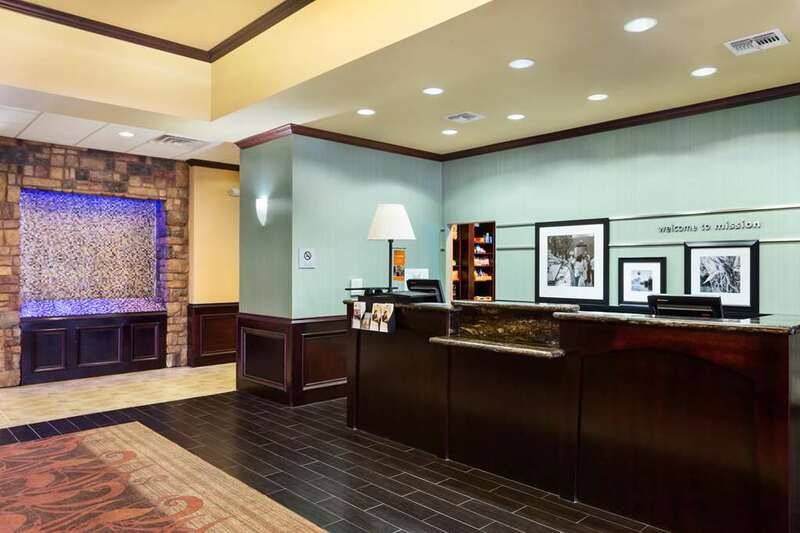 The hotel is just walking distance to the Shary Towne Shopping Center minutes to McAllen Airport and a large variety of great restaurants. You can take a short day trip to South Padre Island for recreation entertainment and nightlife...or head into Mexico to explore the shops and restaurants of Reynosa and Nuevo Progreso. Be sure not to miss the annual Texas Tropics Nature Festival in the spring and the Texas Citrus Fiesta /which features events January-March/. Get more tips on all the local sights and activities from the team at our hotel. We love having you here at the Hampton Inn - Suites Mission in Texas.